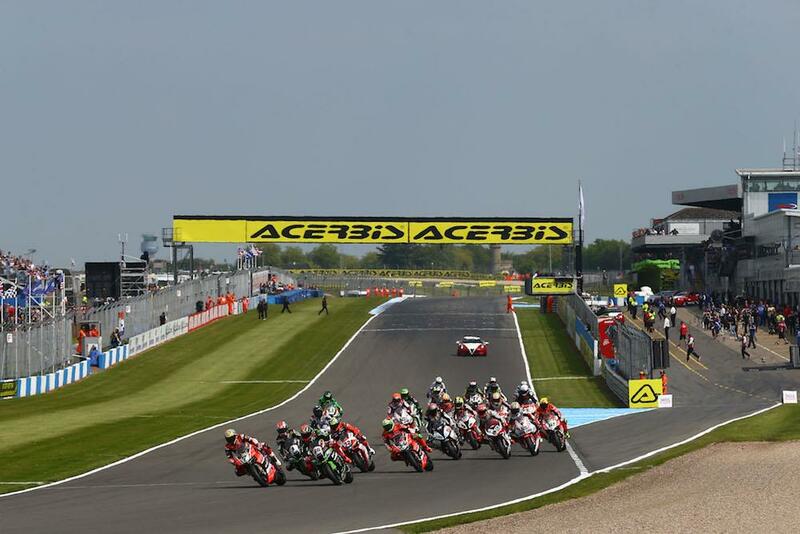 The Superbike World Championship arrives in the UK this weekend for the sixth round of the 2017 season at Donington Park. While Jonathan Rea is already in a commanding position in the championship chase, the Leicestershire circuit will play a pivotal part in his 2017 challenge as he looks to beat team-mate Tom Sykes, who has been unbeaten at Donington since 2013. While Sykes has dominated the past four years to take eight wins, Rea is confident he can stick it to his team-mate this weekend and it would be wrong to rule out Aruba Ducati’s Chaz Davies after his double win last time out in Imola. So far this year, only Kawasaki Racing Team and Aruba Ducati riders have finished on the podium, but one man looking to change that will be PATA Yamaha’s Alex Lowes who heads into his home round fit for the first time with the YZF-R1 after missing last year’s event through injury. Leon Camier, who enjoyed a strong showing at Imola for the MV Agusta team despite technical issues, will also be looking to get in the mix after the British circuit proved to be one of his strongest rounds last season with a fourth and a fifth place. Wildcarding at the event is 2017 MCE British Superbike series leader Leon Haslam, who joins the Puccetti Kawasaki team for the weekend. The last time the former series runner-up turned up in WSB, he finished fifth for Pedercini Kawasaki in Qatar, and while he knows the win might be out of his grasps, he’s got his sights set on impressing as he looks to secure a full-time return to the series for 2018. It will, however, be an emotional event, as the paddock comes together for the first time without 2006 MotoGP Champion Nicky Hayden, who tragically lost his life after a cycle accident last week. The Red Bull Honda team have confirmed they will still be at the event with Hayden’s team-mate Stefan Bradl. All the action kicks off with free practice on Friday and with World Superbike’s split race format, the first race takes place on Saturday and the second on Sunday.